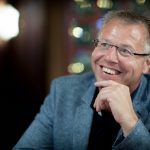 Caspar is an energetic, people and results oriented executive coach. He works with companies across the globe to design programs in which emotional intelligence plays an important role. In addition, he is a trainer of trainers, coaches and consultants. He is the director of Feedback Training & Consulting, Foresight Consulting and Functional Fluency. From these companies, he, together with his colleagues, supports organizations, teams and individuals in realizing their goals.